Kia Motors has forayed into the Indian market with a bang by showcasing 16 models at the 2018 Auto Expo. The showstopper for the company at the mega automobile event was the SP Concept, a brand new SUV which will be launched in the Indian market and will take on the likes of the Hyundai Creta. Kia Motors made a splash with the SP Concept which looks attractive although the production version may not get all the design cues from this concept version. The Kia Stinger GT, Kia Rio, Kia Picanto, Kia Soul compact SUV, Sportage SUV and other models have been shown at the event as well. The Kia SP Concept has been tailored for India and should enter production by the end of the year 2019 as per reports. The SP Concept comes with a bolder design philosophy in tandem with a two-box design and elevated bonnet. There is the signature tiger-nose grille with the horizontal LED headlamps. The SP Concept also comes with the LED fog lamps and a chiselled bumper. The SUV also comes with plastic body cladding in black, dual-tone sloping roof, machined alloys and LED tail lights. The SP Concept could get 1.6-litre diesel and petrol options. The latter makes 126 BHP and 156 Nm while the former dishes out 121 BHP and 260 Nm. There will be 6-speed manual and automatic transmission options on offer. The Kia Mohave has also been shown at the 2018 Auto Expo. This is a 4WD 7-seater SUV that comes with diverse engine options right from the V8 4.6-litre petrol engine to the 3.0 litre V6 diesel engine. There are three rows of seats for the car and it comes with features like ESC, powered boot lid, 3-zone climate control, all-round camera view, HSAC, blind spot detection and lane departure warning. The Mohave has already been shown globally although it may not launch in India anytime soon. The Kia Sorento SUV has debuted at the 2018 Auto Expo and the car has received a mid-cycle facelift.  There is a grille with the chrome finish and there are red brake callipers, fog lights and a standard chrome exhaust tip available for the top-end GT-Line trim. There is a brand new 8-inch infotainment unit with the TomTom satellite navigation setup, Android Auto and Apple CarPlay. There is also a wireless phone charger and black leather seats with contrast stitching in grey. The engine options on offer include the 2.0 litre 185 hp diesel engine, 2.4-litre petrol 188 hp engine and the 2.2 litres 200 hp diesel engine. There is a new automatic transmission system on offer in tandem with a 6-speed manual transmission unit. 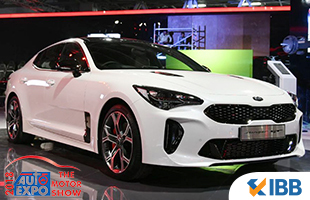 The Kia Stinger has also been shown at the 2018 Auto Expo. The Stinger is Kia Motor’s top-slotted model globally although there is no word on whether it will make it to the Indian market or not. This would be a CBU priced upwards of Rs. 70 lakhs and the company is not sure whether it will find many takers at this high price. The Kia Sportage fourth-generation model has also been displayed at the 2018 Auto Expo. This sporty SUV comes with a turbo diesel 2.0-litre engine that dishes out 185 hp and 402 Nm. The car also gets 4WD and 2WD options. Top-end variants come with the touch screen 8-inch infotainment unit, 8-speaker JBL audio system, smartphone integration, reversing camera, a panoramic sunroof, LED fog lamps in front, adaptive Bi-Xenon headlights and parking assist. The base versions come with hill start assist, front fog lamps, descent control, cruise control, DAB radio and Bluetooth and USB connectivity. The Kia Soul electric vehicle has also been shown at the 2018 Auto Expo. This 5-door crossover model looks boxy with a sleek design language. The same platform is used for the Soul EV as the Creed hatchback. There is a lithium-ion 27 kW battery that has fast charging and this makes 110 hp and 285 Nm. The driving range is 190 kilometres with a single charge and 10.8 seconds are only required to do the 0-96 kmph. The car has a top speed of 145 kilometres per hour. There is the OLED digital instrument cluster, centrally mounted 8-inch touch screen infotainment unit, satellite navigation, EV monitoring, Bluetooth and USB connectivity, DAB radio, dual-zone climate control, electrically folding and heated door mirrors, heated front seats, keyless start and entry, cruise control and parking sensors. The Kia Soul EV may come to India in the future although nothing seems certain at the moment. The Cerato executive sedan was also shown at the 2018 Auto Expo and this got cooled and heated front seats, keyless entry, blind spot detection system and dual-zone climate control. This gets a 1.6-litre petrol mill that makes 130 hp and 157 Nm. The Kia Creed may spawn an entire lineup of models like estate and SUV versions. The hatchback gets attractive body lines and gets 15, 16 and 17-inch wheels. The Kia K2 platform is used for the Creed and gets 395 litres of boot space. There is an independent suspension setup along with a diesel engine option and two petrol engine choices. There is a T-GDi 1.0-litre engine that makes 120 hp and a T-GDi 1.4 litre engine that makes 100 hp/140 hp. There is a 6-speed manual gearbox along with a 7-speed automatic dual-clutch transmission option. There will be the mild hybrid 48V version added soon. There are Sport and Normal driving modes available as well. The Creed comes with 5 and 7-inch infotainment system options along with the 8-inch touchscreen setup with Android Auto and Apple CarPlay. There is Bluetooth based smartphone integration, keyless entry and automatic lights in tandem with a JBL audio system, heated windscreen and wireless phone charger. The Kia Stonic crossover was also shown at the 2018 Auto Expo which gets a special tiger nose and a muscular bonnet along with daytime running lights, angular headlights, flared wheel arches, sloping roofline and big alloy wheels. The Stonic comes with several engine options like the T-GDI 1.0 litre 120 hp petrol engine, 1.4 litres 100 hp petrol engine, 1.2-litre petrol 84 hp engine and a 1.6 litre 110 hp diesel engine. There are 5 and 6-speed manual transmission units on offer along with a 7-speed dual-clutch automatic unit. The Stonic gets a 7-inch touchscreen infotainment unit with Android Auto, Apple CarPlay, 6-speaker audio and satellite navigation. There is climate control available as well.